Same ad, different name, over and over again. 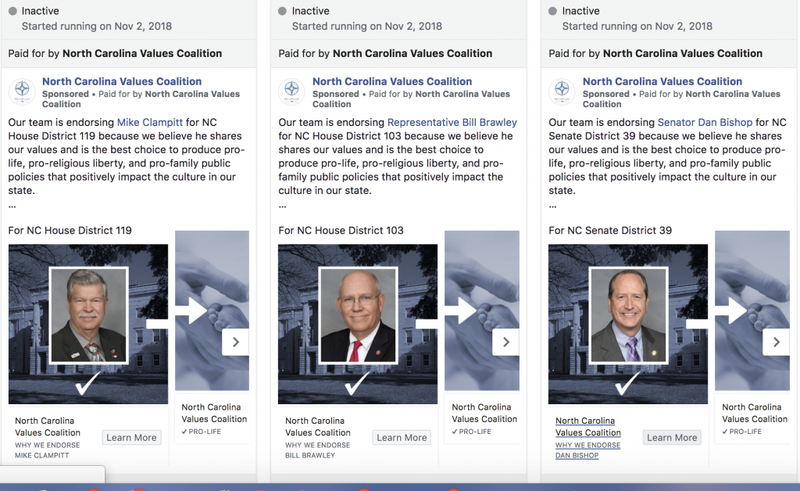 Cookie-cutter ads, generic political ads used to promote or criticize multiple campaigns and candidates, were widely deployed during the 2018 North Carolina midterm elections. 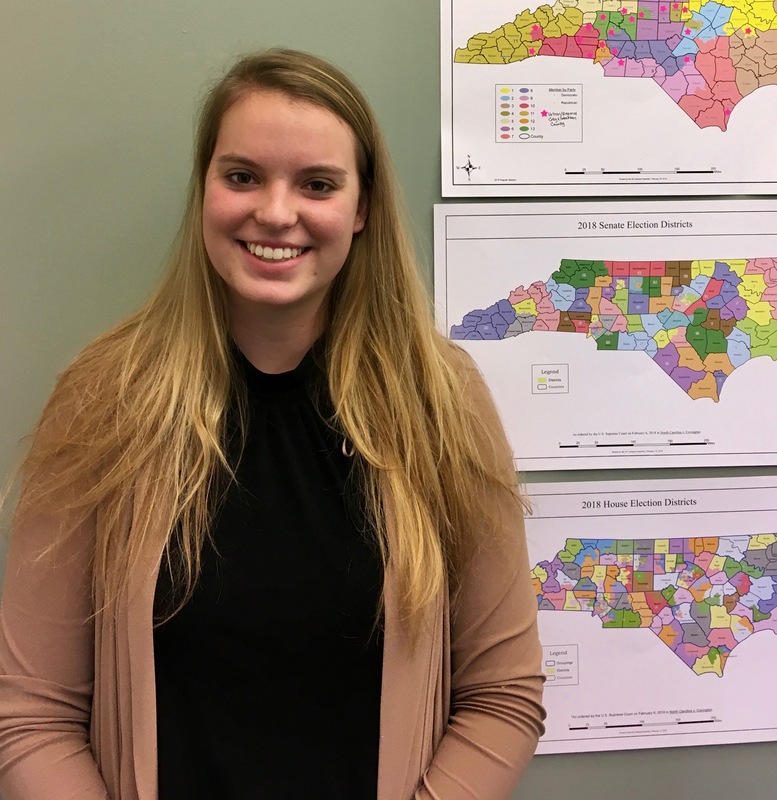 As student journalists working on the North Carolina Fact-Checking Project, we spent months sifting through thousands of campaign ads looking for political claims to fact-check. It didn’t take long to notice that many were nearly identical. The copy-cat ads we encountered typically targeted groups of candidates, such as state House candidates from one party, and added their names to the same attack ad. That allowed the opposing political party and their boosters to widely circulate messages about topics important to their base. 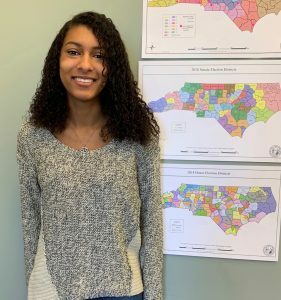 One reason for this is state political campaigns have become increasingly centralized in recent years, often run by political caucuses rather than individual candidates, said Gary Pearce, co-publisher of Talking About Politics, a blog about North Carolina and national politics. Congressional campaign committees in Washington, D.C. as well as North Carolina legislative caucus committees conduct voter research and use the data to pinpoint issues that matter most to target voters during election season, he said. The N.C. Democratic Party used the carbon-copy ads to denounce lots of GOP candidates at once. 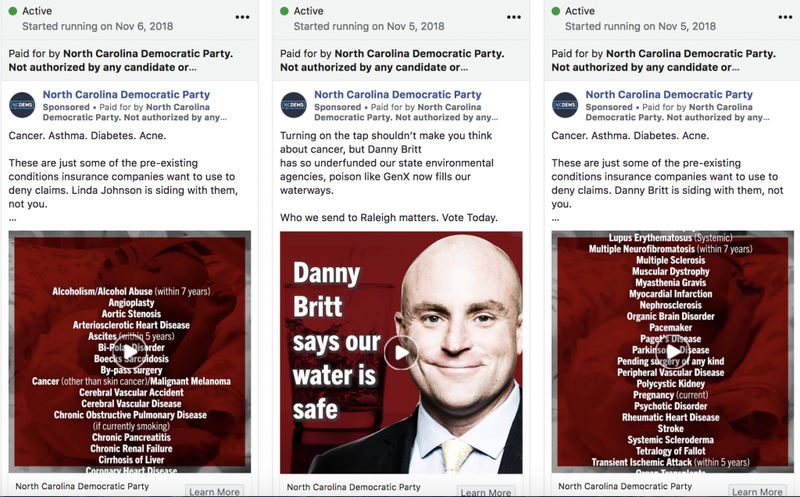 The North Carolina Democratic Party employed this technique often this year, producing ads that claimed Republicans would eliminate insurance coverage for pre-existing medical conditions, ignore polluted drinking water, even tolerate corruption within the state Republican Party. The N.C. Values Coalition PAC used look-alike ads to promote candidates in line with its priorities. Angie Holan, editor of the national fact-checking website PolitiFact, said such ads remain an inexpensive way to disseminate information. Despite this age of targeting marketing on the web and elsewhere, the persistence of this sort of marketing could be linked to U.S. voters’ increasing partisanship, she said. “We’re not seeing a lot of crossover or, frankly, a lot of complexity or nuance in most of the public policy positions politicians are taking. So that makes it very easy to do cookie cutter ads,” Holan said. Colin Campbell, a North Carolina political reporter and columnist with The Insider, recently argued that the cookie cutter ads “dreamed up by young staffers sitting in a Raleigh office” may have hurt candidates in both parties during the 2018 campaign season. For Democrats to win rural districts and Republicans to win urban districts, candidates need to switch their focus to local issues that people from all parties care about, Campbell argued. He pointed to State Rep. Ken Goodman, a Democrat who this fall won re-election in District 66, west of Fayetteville. Goodman’s ads focused on increasing the amount of lottery money that goes towards public education, not an issue on the national or statewide Democratic agenda, Campbell noted. The moderate Democrat won re-election in a rural district, which required him to gain wide support. Which way will political campaigns lean in the presidential election year 2020? Unknown. But student journalists in the Duke Reporters’ Lab will be watching.